pain gets worse or lasts for more than 5 days. fever gets worse or lasts for more than 3 days. Overdose warning. Taking more than the recommended dose (overdose) may cause liver damage. In case of accidental overdose, get medical help or contact a Poison Control Center (1-800-222-1222) right away. Quick medical attention is critical even if you do not notice any signs or symptoms. 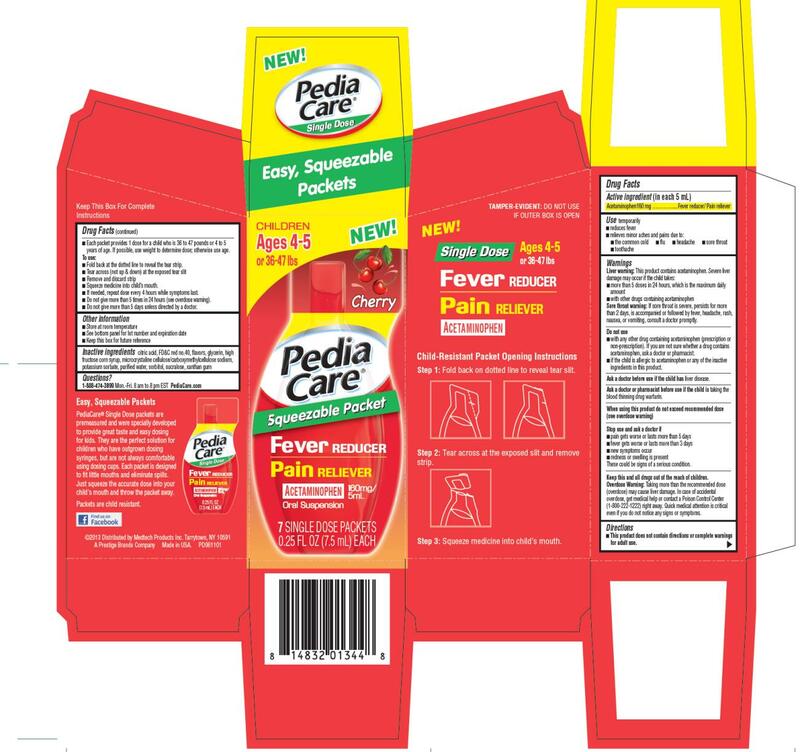 Each packet provides 1 dose for a child who is 48 to 59 pounds or 6 to 8 years of age. If possible, use weight to determine dose; otherwise use age. Fold back at the dotted line to reveal the tear strip. Squeeze medicine into childâ€™s mouth. If needed, repeat dose every 4 hours while symptoms last. Do not give more than 5 times in 24 hours (see overdose warning). Do not give more than 5 days unless directed by a doctor. 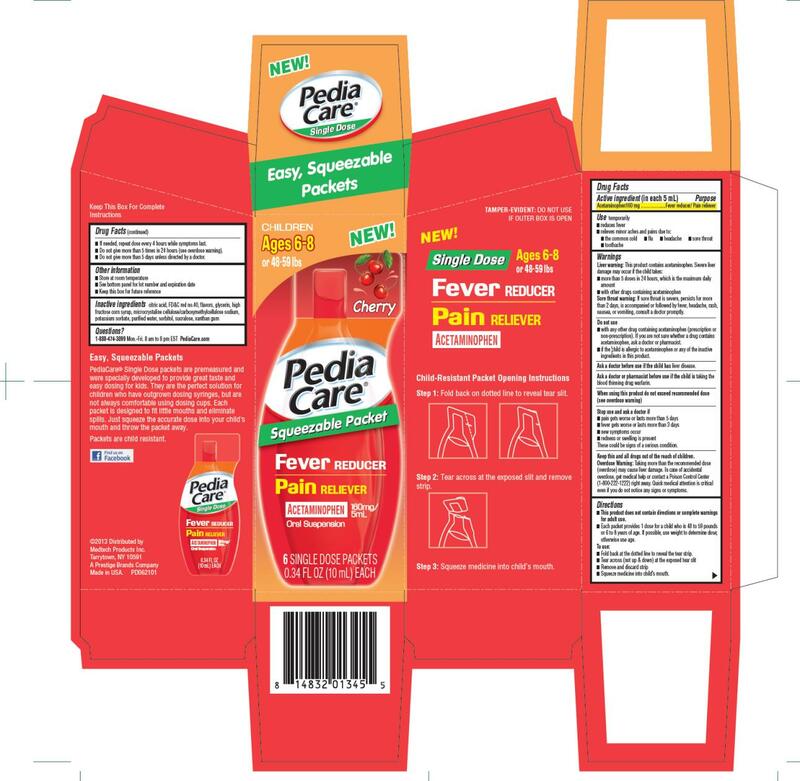 Each packet provides 1 dose for a child who is 36 to 47 pounds or 4 to 5 years of age. If possible, use weight to determine dose; otherwise use age.